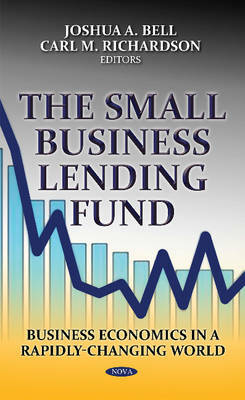 This book examines the Small Business Lending Fund, with a focus on the supply and demand for small business loans. Congressional interest in small businesses reflects, in part, concerns about economic growth and unemployment. Small businesses, defined as having fewer than 500 employees, have played an important role in net employment growth during previous economic recoveries. However, recent data show that net employment growth at small businesses is not increasing at the same rate as in previous economic recoveries. Some have argued that current economic conditions make it imperative that the federal government provide additional resources to assist small businesses in acquiring capital necessary to start, continue, or expand operations and create jobs. Others worry about the long-term adverse economic effects of spending programs that increase the federal deficit.